By removing your cryptocurrencies from exchanges and into cold storage devices such as a ledger, cryptocurrency owners force third parties to prove they have the cryptocurrencies they claim to hold. People can prove that their cryptocurrencies exist on the blockchain and that their keys are genuinely associated with real cryptocurrencies, and also aiding in the eliminating the rumored notion that various exchanges are involved in wash trading. Cryptocurrency/Digital asset related events including, hacks, withdrawal suspensions, delays, and allegations of wash trading have made people doubt the security of exchanges, and in turn, the security of their cryptocurrencies/funds. Many speculate that this could cause liquidity issues on certain platforms, however it can be strongly argued that adequate liquidity should always be possible in blockchain and cryptocurrency space, given correcting the “double spend” problem was one of the main reasons cryptocurrencies were created. In a YouTube video made for the January 3 event, cryptocurrency enthusiast Trace Mayer asserts that new people have recently invested in Bitcoin, and it’s important for them — as well as long-time holders of Bitcoin — to periodically show their independence by holding private keys and not being tied to those outside exchanges. A common line of thought in the cryptocurrency community is that if people don’t own their keys, they don’t own their cryptocurrencies. Unless those people hold private keys, it’s actually the exchanges that possess their cryptocurrencies. That means exchanges could at any time (1) deny or delay people access to the cryptocurrencies and funds they own or even shut down altogether themselves and leave users unable to retrieve their assets and/or funds. Recently a user reported that their Litecoin was delayed for several days, regardless of the price movement while the delay is in effect, good or bad. This proof of keys collaborative demonstration could be the annual way that cryptocurrency owners test crypto exchanges and their integrity. 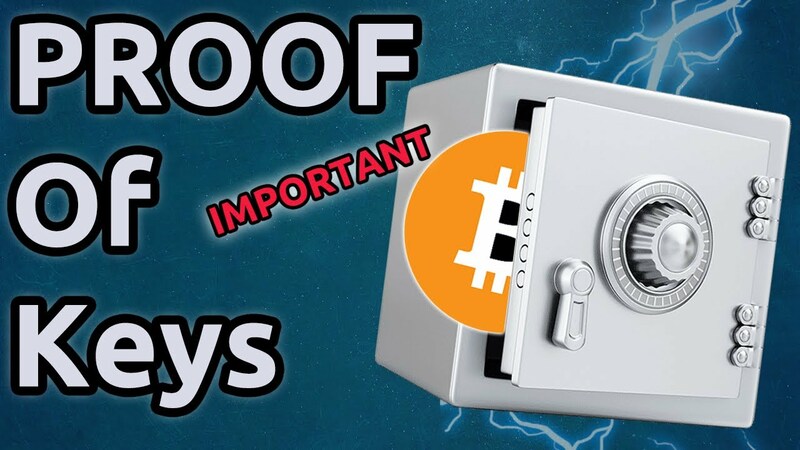 Are you participating in the “Proof keys” event?